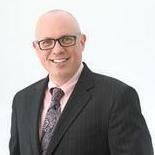 Jay Silverberg is an experienced and pragmatic business, transactional and restructuring lawyer. He also applies those skills as a divorce and family lawyer. Jay cut his teeth as business insolvency and corporate lawyer at major law firms in Manhattan. He is selectively taking on transactional and insolvency matters. He has deep industry experience in consumer products and retail. Jay serves as outside general counsel to established and emerging businesses. ​ Jay has substantial experience in virtually every type of transaction faced by growing and established businesses. Jay also is a seasoned business bankruptcy attorney. "I recommend Jay to anyone requiring help with a "one-off" project but I believe that he is even more qualified to serve as "outside general counsel" on an ongoing basis. I found his advice very useful on a great variety of day to day matters." "he's got your back. 5.0 stars Posted by John on Nov 2, 2015 Hired attorney I hired Jay during a very difficult time in my business. He took a lot of time understand both the big picture and the small details and was able to solve problems that had seemed impossible before. Most importantly he always had my best interest in mind and acted accordingly. I would highly recommend Jay." Boutique law firm servicing businesses and individuals. Associate Attorney- corporate and bankruptcy departments. Handled major corporate transactions. Represented debtors in mega-case Chapter 11's. Partner with active practice representing middle market businesses in a wide variety of matters. Partner in firm of 12 to 15 attorneys. Handled countless transactions and insolvency matters, including m&a, bank financing, trademark licensing, startups, and factoring. Represented ever conceivable party in interest in insolvency and bankruptcy matters in business Chapter 11 cases. Prominent in fashion and jewelry industries. Associate - corporate transactions and banking.